Shot a funny Christmas Card shoot for some friends with two night maintenance bulldogs. I set up a two light studio a a birthday party as a photo booth. A timer that would take ten or so photos with one press and a laptop that was tethered so you could get near instant feedback. My buddy has started offering his homemade surfboard dog bowls for sale so we did a little product shoot for his Etsy page. Mrs Santa @ Moto Forza bike night. Savanna Michelle met up with local Italian Motorcycle dealership Moto Forza to spice up their monthly customer appreciation bike night. I set up a studio in the shop and customers could bring in their own bikes to have photos with Mrs. Santa for a $20 donation to charity and a toy given to Toys for Tots. Met some friends at the beach for some family baby bump shots a few weeks before Tara's due date. I took off for a long weekend in Souther Utah to attend the worlds craziest downhill mountain biking comp. 1600 fans gather on a mountain 4 miles from the nearest road. 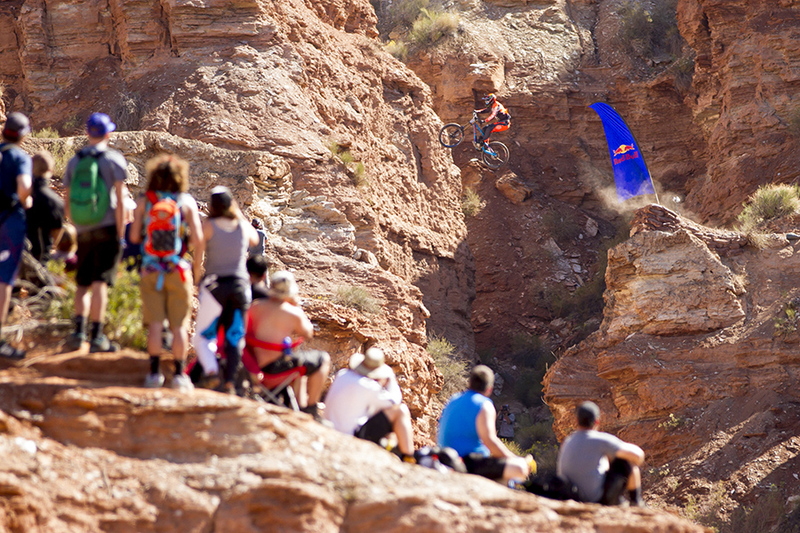 Brendan Fairclough's massive gap jump. This 72ft canyon gap was ridden by a handfull of people before Kelly decided to backflip in the main. Spain's Andreu Lacondeguy with a massive seat grab over the Specialized kicker. Spend just a day an a half in Florida to take a half day tour by kayak with James Currie and his family to search for Manatee near Crystal River. 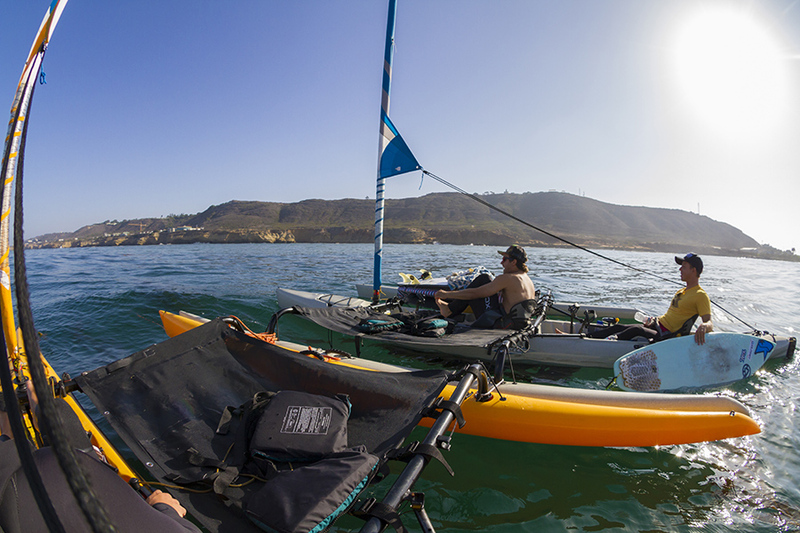 Drew and I took two of his buddies out on the Hobie Tandem Islands for a day of surfing a hard to reach break in South San Diego. Peddling out before the wind came up. Anchored up and ready to paddle to the break. Drew cutting back into the surf. Once a year at Doheny Beach in Dana Point the worlds best Stand Up Paddle boarders gather to race in and out of the surf. Also relay races, kids races, amateur races and other fun events. Turn one of the open mens race. Byron makes an outside buoy turn in front of a fast group. 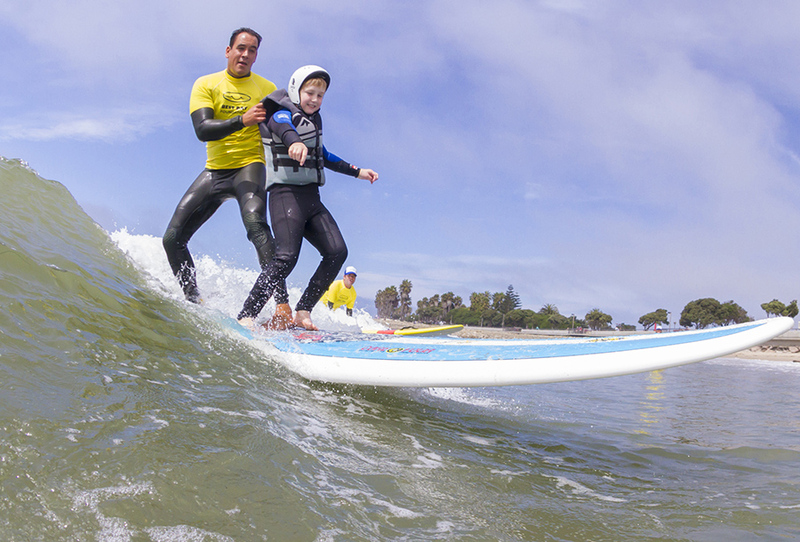 the races into the beach make for some of the best SUP carnage. The Hobie Paddle Board crew. 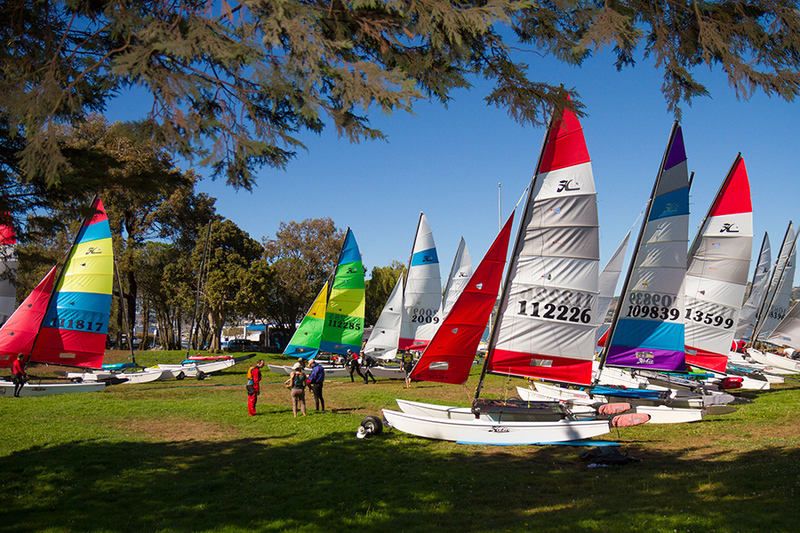 Headed up to San Fran area for the annual Alter Cup race that happened to be raced on Hobie 16's this year. Stuck around to watch the first few races of the America's Cup on the AC72's. A busy A mark rounding. Mike & Karen racing up close to the crowd that was early for the AC72's first race. A Hobie 16 getting up close & personal with Oracle. Oracle & Emirates racing up the city front on race one! Heading up north to see old friends and spend some time on a few of Michigans cleanest lakes. Joey paddling along Torch Lake. After Chicago and Wisconsin I flew to southern Michigan to meet up with a few Hobie reps and family for a few days off and some small shoots. Bets, Maria and Chase cruising. John looking to take the Revo 11 to new heights. After Chicago I headed north to meet up with Rob Wendel and head out to his favorite fishing location on the Great Lakes. Rob Wendel is a Hobie reginal fishing team member that fishes from a Mirage Pro Angler 14. Rob explains why he chooses the PA14, how he has rigged his hull and shares some of his techniques for fishing in the Great Lakes. Fighting a small mouth bass. A long day of offshore fishing in the sun netted Rob this reward. June 2013. Headed to Chicago, rented a U-Haul truck and borrowed kayaks from a local dealer. Met up with friend to shoot kayaking on the Chicago city front, attend an in-water boatshow and kayak the Chicago river through the city. 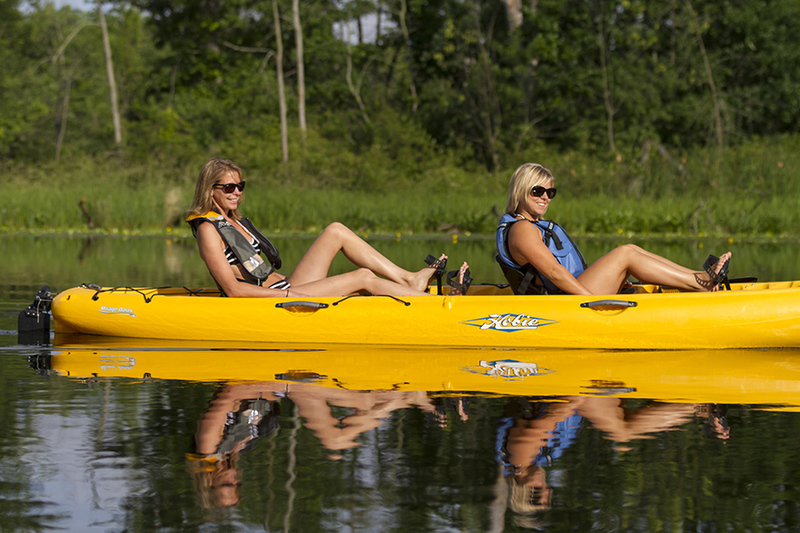 Hobie was launched two new kayak models and this was one of the all day shoots to gain freshwater fishing footage. Cal lands a largemouth bass from the new Mirage Sport. Cal & Jim switch over to fish from a tandem after lunch. Jim not letting a narrow sleek hull get in the way of standing. Join a creative group of writers and adventurers to sail small multi-hulls from Ventura to Santa Cruz Island for a weekend for camping, surfing, hiking and having a great time on the ocean.